This homemade vegetarian and vegan black bean chili recipe uses pre-cooked black beans and tomato sauce from a can. Add some leftover rice, leftover quinoa, or whip up some instant rice and a green salad to make it a complete meal. The recipe calls for everything to be simmered together for 20 minutes. If you're short on time, you can even skimp a bit— if you have more time, though, give it a few more minutes to allow all the flavors to more fully develop. Sauté onions and garlic in oil until onions turn clear, about 5 minutes. Carefully add in the tomato sauce and black beans and reduce the heat to medium-low. Add the cumin, cayenne pepper, and chili powder, then stir to combine well. Cover and allow to simmer at least 20 minutes, stirring occasionally. Season well with salt and pepper. 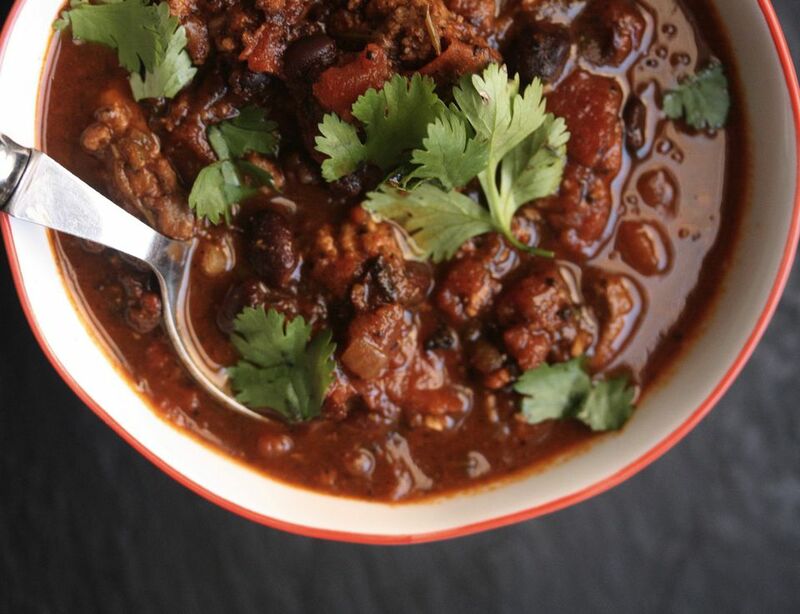 Enjoy your homemade vegetarian black bean chili!